Hey, Bonnie Tyler, If You’re Reading This You Gotsa Get PAID Pronto Tonto. Equities start the day lower on Eclipse Day! Hey, Bonnie Tyler, if you’re reading this you gotsa get PAID pronto tonto. You have about 12 hours of day light to cash in on what is arguably the best 80s video ever created (don’t @ me) so start singing right now. Oh and is there a more relevant line for our current state of affairs than “We're living in a powder keg and giving off sparks”? Who knew that song would foretell the year of our Lord 2017, I sure didn’t. There was no crazy news overnight, or at least nothing that affected the market all that much, so we sat down to a flat market and endless eclipse coverage. Speaking of the market, apparently short interest is at a 10 year low so maybe euphoria is the new hotness. My partner in London Ross Y points out that yea, it’s probably easier to make money on the short side when short interest is super low but that doesn’t make for a good sell signal. He also mentioned the fact that cash levels are high (per the last BAML mgr survey) and there are a record number of investors who think equity markets are overvalued. What’s the conclusion then? None, but that’s the thing with markets, you’ll never get clarity so all you can is have a plan and stick to it just like everyone else. So I was thinking for this eclipse thing that I’d do those glasses where you hold your hands upside down, I’ll let you know how that works out for me in tomorrow thrilling recap titled “Michael goes to the Optometrist”. Did you watch that video I linked? It’s so good, that ending with the dude singing brings me to tears every time. Laughter that is. After the open, I kid you not, Solar stocks were lower. TSLA fell 3.5% because MY GOD THEIR REVENUES ARE GOING TO GET HIT. TAN, the solar ETF, fell 2.5%. Take that “efficient market hypothesis” you piece of garbage. That was it though, that was the sum total of market activity. The first half of today was as boring as watching an eclipse on TV. Volumes were down 15% across the board as a lack of macro data, earnings, and Fed speak crushed anyone’s interest in this goat rodeo. In fact I’m still writing this section because I need to fill space before the big finish. Winners were FCX, NEM, JCI, O, and RHT. Losers FL (again), ULTA, UAA, NKE, my God do I have to write these names every single time I do a recap? Ok, from now on just assume retailers were the worst performing stocks so we can talk about other sectors. Hey look energy stocks were down too because Crude fell 2%. 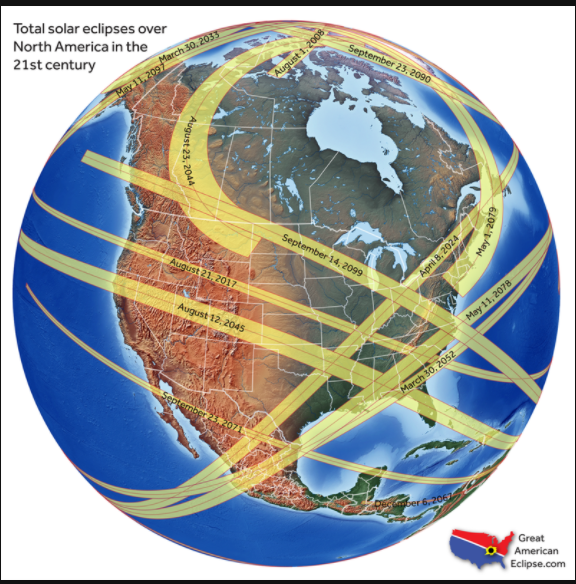 How can solar AND crude stocks fall on an eclipse day, make up your mind please. By lunch we were sitting squarely on unchanged as a shadow slowly crept across the North American continent. I went out, looked at a crescent, went back in. Seeing an eclipse is a bucket list event, like zip lining or seeing the Grand Canyon or passing out in an English Pub after drinking really gross warm beer. Wait, where I was I going with this? The rest of the day was me listening to my co workers say “I think my eyes hurt” and the market settling in on 2,428, up 11bps. So…did you miss the eclipse because of clouds or because you were stuck in a meeting talking about EV/EVITDA? 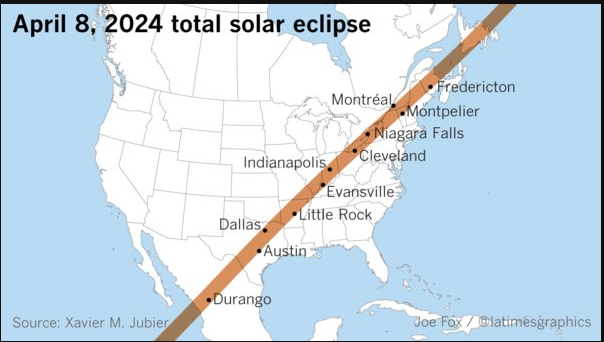 Here’s the next one in the US, you only have to wait 2 more Summer Olympics (if you want to see totality in Wisconsin you have to wait until 2099. Congrats, I’ll be dead). If you’re looking for catalyst this week you’ll have to wait until Janet and Mario shred Corbet’s Couloir on Thursday because that’s about all we got. Slow week? You betcha. Hey, did you catch that Javelin toss by the Nights King last night? That dude has himself a dragon now and you know that wall is coming down next week. And you know that dagger Arya gave to Sansa is ending up in Littlefinger at some point. It’s ON!! Final Score: Dow +13bps, S&P500 +11bps, Nasdaq -5bps, Rus2k -7bps. Volume was super low. Our desk was better to buy. Buying in Energy and Retail. Selling in Retail and Tech. Shorting in Financials. We’ll end tonight with 3 links of people being stupid (plus a bonus link)! Our bonus link is the coolest flyby ever! I love the Blue Angels.